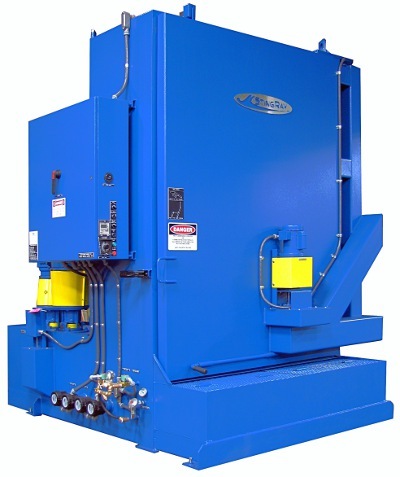 The StingRay 6075 parts washer not only offers an impressive parts washer power density for parts cleaning but also the patented oscillating power wash manifold to maximize parts cleaning in any industrial application. It is the ideal industrial parts washer for off-road and over the road truck engines and transmissions, mining equipment engines, and marine engines. Additional industrial parts washing applications include the repair and rebuilding of marine thrusters & propulsors, gears, crankcases, heads and pumps.